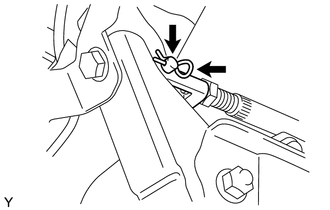 (a) Remove the clip and push rod pin, and then separate the push rod clevis. (a) Remove the bolt from the reinforcement. (b) Disconnect the stop light switch connector from the stop light switch. 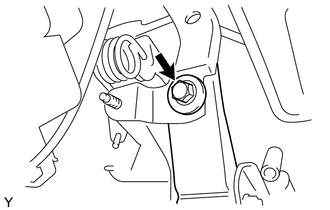 (c) Remove the 4 nuts and brake pedal support. 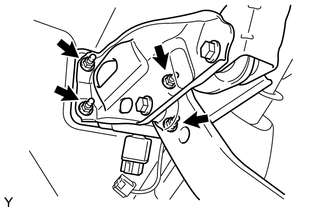 (a) Remove the brake pedal pad from the brake pedal.